A recent report released by technavio profiled the expected growth of the heavy equipment rental market, specifically for construction equipment. Highlighting a healthy industry CAGR of 7+% until 2019 with higher growth in key geography markets such as Europe and lower growth in Asia, the report also discussed the leading trends that are enabling this growth. Perhaps most important for distributors of rental equipment, the inclusion of fleet management and telematics software is seen to enable a customer product that is more reliable (less prone to down time) with lower operational costs. The ability to schedule maintenance based on equipment usage and not simply by prescheduled time periods, to schedule preventative or emergency maintenance based in real-time, as well as active feedback from equipment should prevent foreseeable equipment breakdowns/failures. The ability to correlate usage outside of operational guidelines, accidents and repairs to specific contracts can indicate which repeat rental users may be high risk. Tailored premiums based on operational analysis of these sometimes multi-million dollar pieces of equipment can help the rental company manage operational costs at the same time as rewarding their ‘good’ users with lower premiums and penalizing, or even choosing to not renew contracts with higher risk users. This is not dissimilar to the telematics products that are now being offered within the rental vehicle industry and by car insurance companies who offer UBI (usage based insurance) products. Even in the low-margin business of rental vehicles, a monthly fee to monitor use of a car is completely justified as soon as a car is stolen, a customer is proven to be culpable for a speeding ticket, or if the company is able to provide added value of emergency assistance (arrange tow truck, or enable remote door unlocking). The slowdown in economic growth is forcing more companies to focus on the rate of return of individual projects, and so many are considering renting equipment rather than buying. From these companies’ point of view, the reduced burden of upfront investment, and eliminated risk of expensive breakdown repairs can provide increased justification for not buying new. The new technologies that are emerging within the industry that are geared towards enhancing the customer experience and service should create a better, more reliable product in a business that can rarely afford unscheduled downtime. Keith Gelinas is ORBCOMM's Senior Vice President & General Manager of OEM and Channel Sales. Keith has 25 years experience in Sales & Marketing Management, 14 years in M2M and IoT (Hardware, Software, OEM Solution Sales) and is a United States Air Force Veteran (Missile Operations). Exactly, that’s the construction industry trend. Also we are seeing a more demanding trend on the service industry, where heavy equipment is critical for their operations but not core of their business (e.g. : steel industry). As a rental business, we are focus on maintenance cost. Our resources, technicians, technology aims to increase maintenance efficiency. So, rental business is not only adding value through the opportunity cost between rental or buy, it is also adding value on maintenance efficiency. Telematics have a tremendous impact on out maintenance costs. We estimate around 50% saving on efficiencies through monitoring our rental fleet through telematics. Now we try to extend the fleet coverage with telematics. Unfortunately manufacturers still reluctant to open their operational parameters to be used by 3rd party software, thus we have to deal with multiple systems. The AEM-AEMP Standard still ‘work in progress’, but there is hope on some workarounds to actual proprietary solutions on the market. Additionally we do not have CanBus Technology on all fleet, making things more difficult. We are focusing on the development of alternatives to include all equipment no matter technology or manufacturer. According to Technavio’s latest report, the global construction equipment rental market is expected to exceed USD 110 billion by 2019 growing at a CAGR of over 7% during the forecast period. 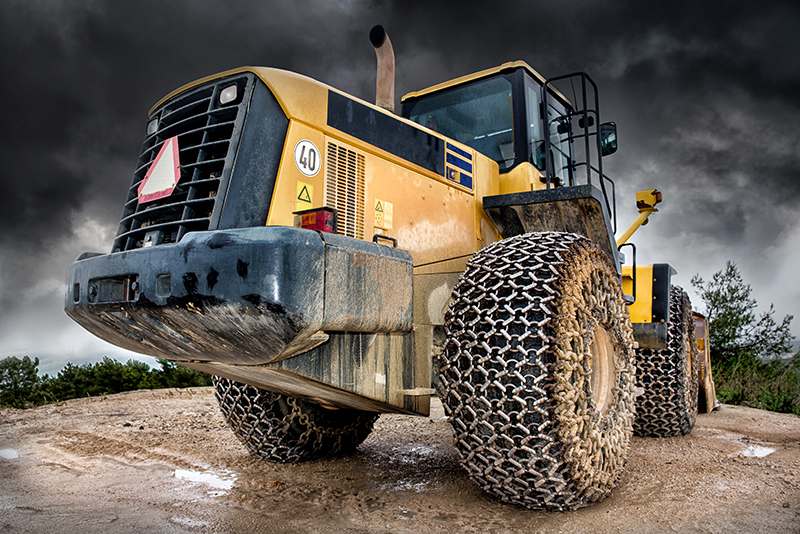 The equipment rental industry is gaining huge prominence across the globe. Although, in emerging economies, such as Asia, the industry is still in the nascent stage, it is projected to witness high growth in the coming years. An increase in the awareness of the equipment rental industry and growing investment in the construction industry will drive the equipment rental market. That’s really interesting that advancements in fleet management are driving the growth of rental equipment. I guess these softwares are driving operational costs of rental companies down. That’s the nature of specialization after all; firms can do less things more efficiently. This is big move and added advantages for the taker of the heavy equipment want to rent the machinery for their work. Reducing cost not only benefits not only renter but taker also. Since its a mutual benefits, business could further expand and bring even more revenue.